Are you interested in becoming a Missouri state police officer? Learn about the different Missouri Police exams and find out how you can make your way through the competitive application process and succeed on your police exam. Whether you need the NPOST, the EB Jacob's LEAB, the NCJOSI exam, or an entirely different police entry exam, JobTestPrep can help you prepare for exam success with our comprehensive police test preparation resources. 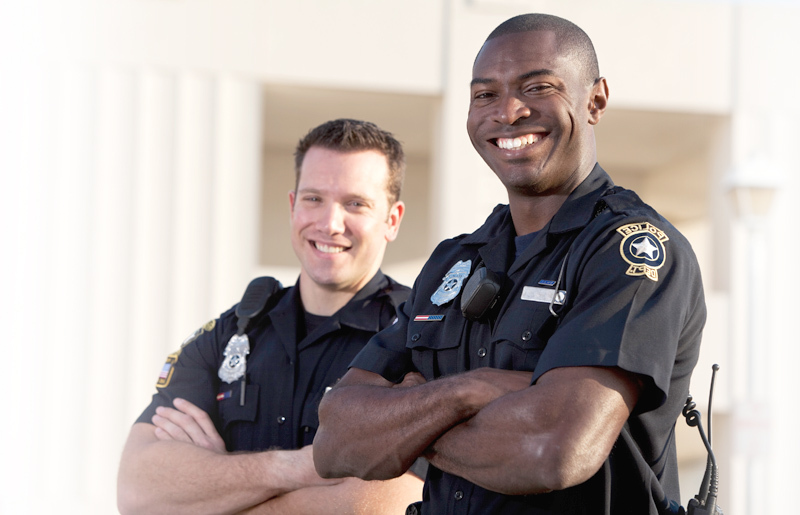 Prepare with JobTestPrep for your Missouri police exam and apply with confidence. Becoming familiar with the written exam will help you prepare for the test. Each department provides different entry-level exams. Each exam may be different but they all have similar, if not the same topics on the exam. Some popular test sections are memory, math and vocabulary. Learn more about the police written exam. Reviewing sample questions is another way to prepare for the exam. By trying our sample questions you can get a glimpse of what actual test questions will be like on the exam. Throughout Missouri each police department may choose the exam they require you to take. For example, the Springfield, MO police department requires you to take Stanard and Associates’ NPOST. To pass the exam you need a minimum score of 70%. In St Louis, the police department requires you to take EB Jacobs’ LEAB. Whereas to become a part of the Missouri State Highway Patrol you must take the NCJOSI exam. To find out what exam your local department, it is recommended you check their sites. JobTestPrep provides customized practice packs per assessment company, take a look at other assessment company exams to see if the exam you are looking for is there. Preparing for the exam will get you one step closer to achieving your goal of becoming a police officer. We provide test structure and format to prepare you for the exam. Our custom made practice packs are designed to make it feel like you are taking the actual exam. Our police premium pack has over 1,500 questions, answers and explanations and includes a personality test to help you prepare for the hiring process. We offer 24/7 access to a vast array of practice tests, study guides, and more to ensure your test success. Join us and begin practicing today! IO Solutions, EB Jacobs and other trademarks are the property of their respective trademark holders. None of the trademark holders are affiliated with JobTestPrep or this website.